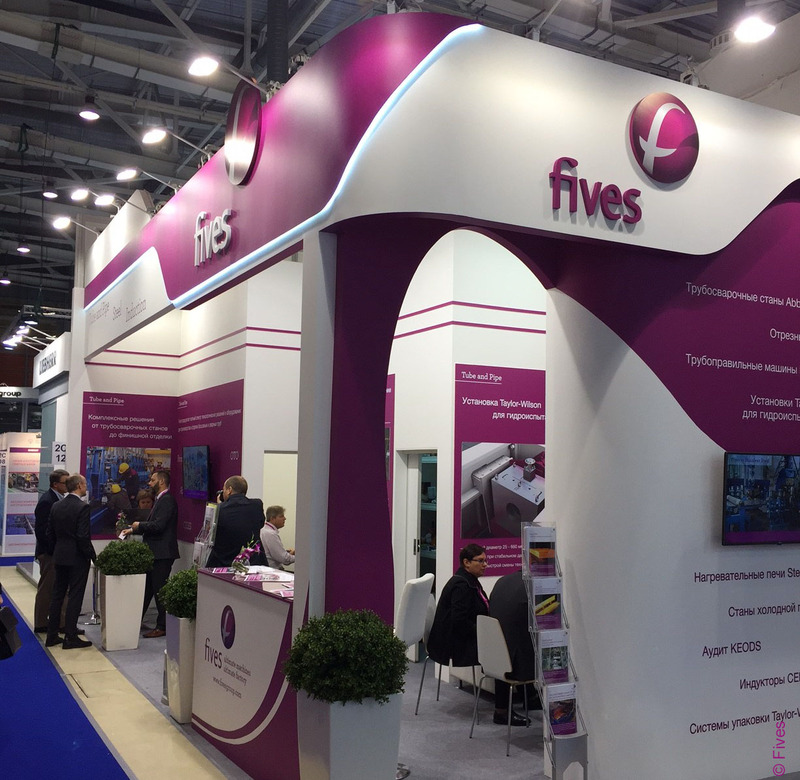 Fives welcomed its clients and partners at the 34m2 stand during a 4-day show held on November 8-11, 2016 in Moscow, Russia. Despite the difficult economic situation worldwide, top level contacts were encountered and several projects were discussed. Fives has been working in the Russian steel industry since 1896, having constructed the first rolling mills at the metal works "Ural-Volga". 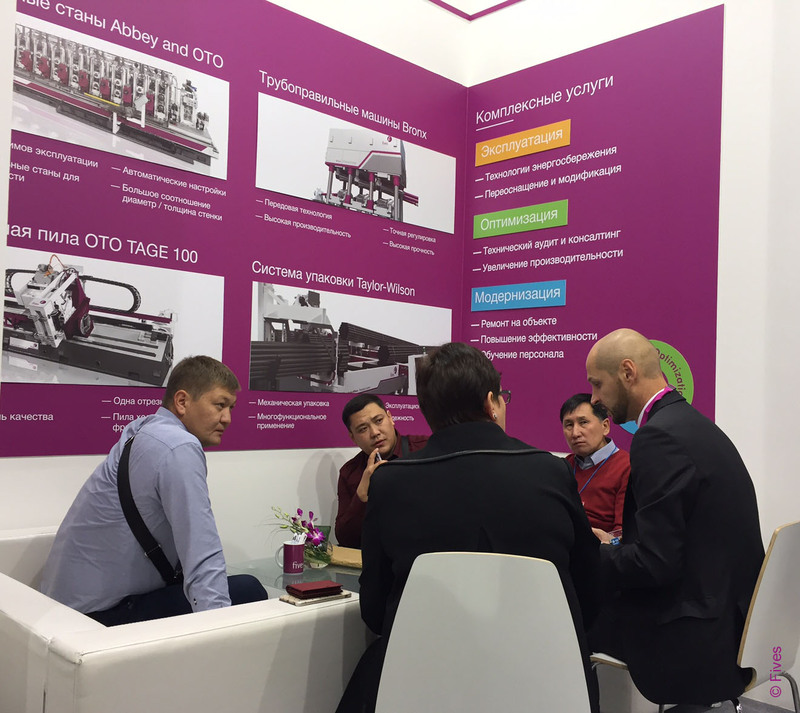 Over the last 45 years, Fives has designed and supplied tube mills, cut-offs, straighteners, hydrostatic pipe testers, leak testers and end facing machines for the tube and pipe industry, as well as long product straighteners to many customers in Russia and CIS. Today, Fives offers a complete solution from mill to finishing, which includes a wide range of Abbey, OTO, Bronx and Taylor-Wilson technologies and equipment for tube makers in different industries.